A indústria de cruzeiros dos EUA vem tendo bons ventos, a China seguirá o exemplo? 2019 marks a decade since the U.S. travel industry emerged from the depths of economic recession. Over the past 10 years, the surge in recovery has coincided with an economic turning point in emerging markets, fueling a historic burst in demand for travel. 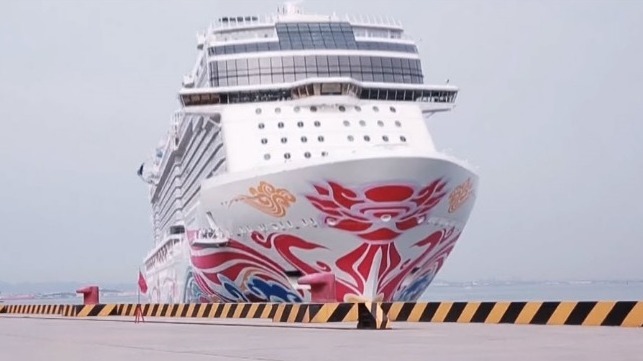 It remains to be seen, though, whether China, second only to the U.S. in the number of cruisers, will follow the same cruising trends. From 2009 to 2017, U.S. cruise passenger numbers grew from 10.4 million to 12.4 million and revenue growth from $12 billion to $18 billion, according to Deloitte in their 2019 US Travel and Hospitality Industry Outlook. The U.S. represents 55 percent of all global cruise passengers. While strong, Deloitte says that the growth trajectory for the cruise industry falls just short of hotel industry growth, as it is a more specialized experience. Consumer perceptions around spending extended periods of time at sea tend to be polarized. Travelers are often loyal or avoid the experience. The dichotomy underpins recent strategy within the segment with brands often flipping between new customer acquisition and extracting greater value from existing cruisers. “People who go on cruises have a very high instance of repeating that experience and going on more cruises,” says Adam Weissenberg, National Managing Partner at Deloitte. “It's a very loyal market. The cruise industry loves that. They love to attract people, because once they get you through the door, a lot of people go again with their families every year or with friends. What shape that growth will take is still uncertain. “The U.S. market has moved towards massive ships that offer more and more high end amenities: zip-lines, race tracks, multiple restaurants, high end restaurants, ice skating rinks, and that seems to be one of the ways of attracting more and more people to cruise or to get people to repeat. The size of these ships is incredible: 4000, 5000 passengers. As the global traveler pool grows, so do the number of attractive destinations competing for their dollars. Globally, popular destinations like New York are competing with newer “rising stars” like Portugal and Vietnam. Some of these destinations are growing visitations by 20 to 30 percent annually. While inbound tourism has always been strong for the U.S. travel industry, it is now feeling the pressure. International arrivals into the country increased by 0.7 percent in 2017, but its global share of long-haul travel is dropping, down to 12.2 percent in 2017 from 13.8 in 2015. According to the American Society of Civil Engineers, the U.S. needs $4.5 trillion in infrastructure investment by 2025 before the problem potentially impacts GDP and job growth. Key travel infrastructure, including airports, parks and recreation, rail, ports, roads and transit require some of the biggest improvements, says Deloitte. Still, says Weissenberg, the growth of the travel industry has been outpacing the world economic growth. How long this can continue, particularly in the U.S., remains to be seen, but Asian growth, in particular, retains strong growth potential.